It was nice and soft and comfy…unfortunately, made of acrylic and $45. 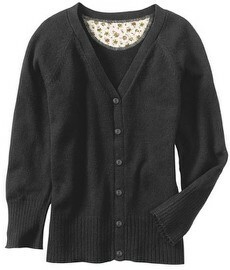 I need me a comfy comfy cardie like that! Must start knitting something with Cotton-Ease! 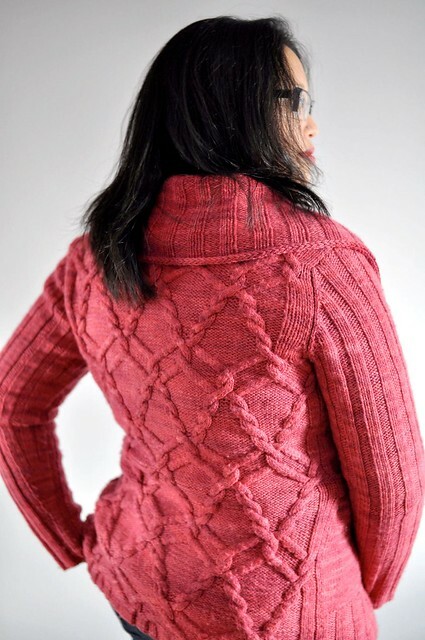 I was going to do it in stockinette, but ribbing is so nice. 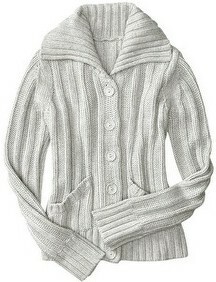 The white cardie was 2×2 rib on the bottom and collar, and 2×4 rib on the main body. It had a bit of shaping, and folded-over buttonbands. Very very close to finishing the body, then there’s cuffs and collar (don’t really know what I’m going to do with that yet). 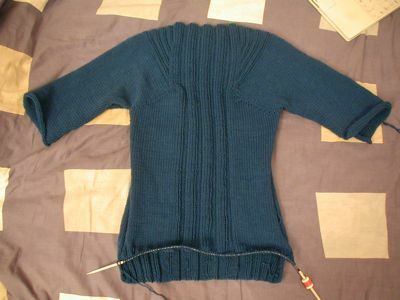 Steam is running out on this project, it’s in danger of being tossed aside in favour of the cardie-to-come and tartan jacket. I’m gonna go knit while….reading my textbook. Yeah, that’s it.